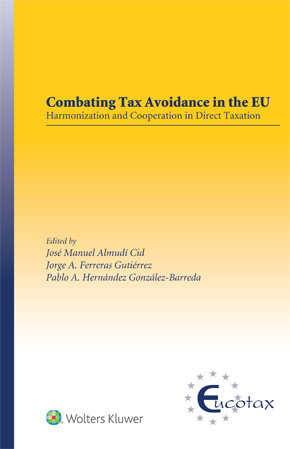 Combating Tax Avoidance in the EU is the first and only book to provide a complete detailed analysis of the Anti-Tax Avoidance Package jointly with other recent and ongoing European actions taken in direct taxation. Following each Member State’s need to rebuild a strong and stable economy after the 2007 financial crisis, the European Union (EU) has developed a robust new transparency framework with binding anti-abuse measures and stronger instruments to challenge external threats of base erosion. This book makes clear that taxation has come to the centre of the EU political debate, and that the importance given to tax harmonization and the speed at which it is taking place will put EU Tax rules at the very core of all tax systems. digital significant presence and permanent establishment. As the EU pursues its ambitious tax agenda, taxation’s contribution to EU growth and competitiveness and its part in relations with the rest of the world will come into ever-clearer focus. In addition to its insights into these trends, the book’s unparalleled practical information and analysis will be of great value to tax practitioners dealing with investment analysis, tax planning schemes and other features of the current international tax landscape. The internal and purposive view of the rules will help readers interpret and match the resulting rules and the directives’ preliminary approaches.